Ireland’s EU membership, high standard of living and favorable business environment make this country very attractive for investors looking to relocate. The straightforward golden residency program provides applicants and their families with a residence permit that can be renewed indefinitely, while investors are not required to physically reside in Ireland. Residents gain unrestricted, visa free travel within the Common Travel Area, including the United Kingdom. Your close family members can gain residency when your application is granted, without having to increase the investment amount. This includes your spouse, children under 18, and children between 18 and 24 provided they are single and financially dependent on you (full-time students). The Immigrant Investor Programme is open to non-EEA nationals and their families who commit to an approved investment in Ireland. Approved applicants will be granted rights of residence in Ireland, which will allow them to enter the State on multi-entry visas. Initially, the permit is granted for 2 years, and it can be renewed for a further 3 years. After the first 5-year period, the residence permit can be renewed again without having to maintain the investment. Applications have to include evidence of net worth, evidence of funds covering the investment, proof of the source of the funds, evidence that the money can be transferred, and a clean criminal record. Once your application is approved, you do not have to physically reside in Ireland, but you do have to make one visit per calendar year. As resident of Ireland, you will enjoy unrestricted travel within the Common Travel Area (CTA), which includes the UK, Ireland, and The Isle of Man, Jersey and Guernsey. 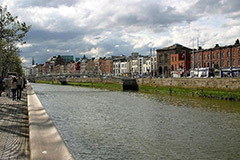 Currently, there are 3 options for obtaining residence in Ireland based on investment. The first is a non-refundable philanthropic donation of at least EUR 500,000 (or €400,000 where 5 or more individuals pool their endowment for one appropriate project). Second, you can choose to invest in an Irish company or an approved fund for a minimum of EUR 1 million. The investment has to be maintained for 3 years, and the size of the returns is not among the criteria for renewing your permit. Third, you can invest in a Real Estate Investment Trust, for the minimum amount of EUR 2 million. 50% of the investment can be divested after 3 years, a further 25% after 4 years, and the full amount after 5 years. An application fee of EUR 1,500 is to be paid for all applications. The fee is non-refundable, and it covers the main applicant and all family members.